I use my Nikon CLS sb800-sb600 in almost every venue that I shoot. 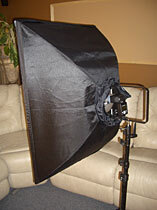 I recently switched from translucent umbrellas to using them with a softbox. 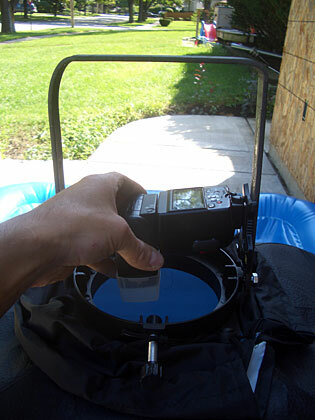 I bought a generic 36” softbox with a universal ring that I paid I think $25 for. I found a morris ring at b&h for about $60 + shipping which was nothing more then a standard ring and a l bracket. So I went to the garage to make my own. Started with a 3/16” x 1” x 36” piece of flat steel. 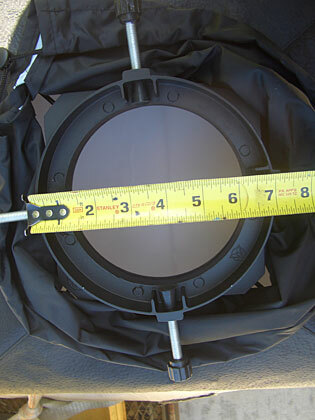 Measured the spacing across my softbox ring which came to 7 ¼”. 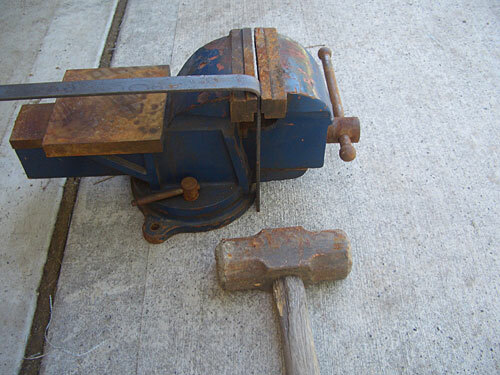 Using a vise and a sledge I bent the first side to about 8” – then bent the opening needed for my ring – 7 ¼” – then cut the 3rd leg to match the first end ( 8” ). Then I drilled 2 holes to mount ring to bracket and placed speedlight in it to get an idea of mounting hole location for flash. 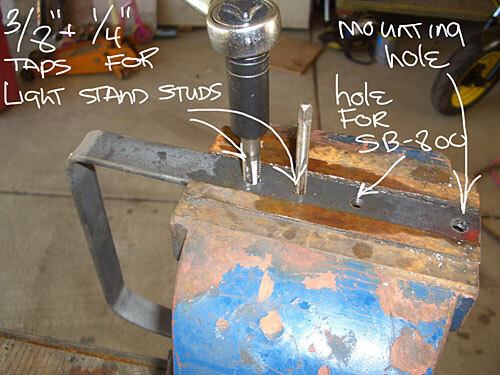 Then I drilled 3 holes (1 to mount sb800 to ring) and 2 holes to mount ring to light stand and standard 5/8 stud. I also tapped the 2 holes 1/4 and 3/8 for either size. Finally I hung it from a tree and gave it 2 coats of a black gloss krylon paint job. 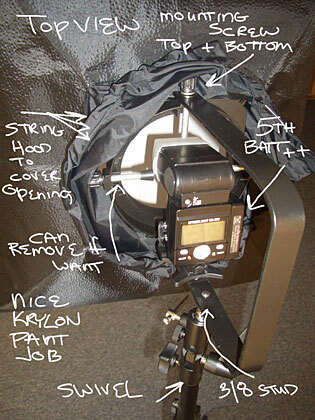 For the finished product I purchased a 1/4 inch knob bolt for looks to mount sb800 to ring. 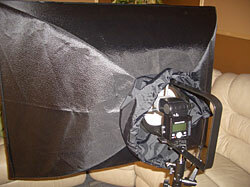 The softbox itself swivels both vertical and horizontal. 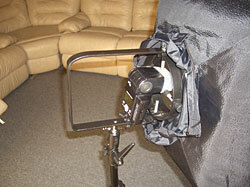 Notice I mounted this to a swivel light stand adapter to give me unlimited angles. I Must say the photos do not do it justice. It looks factory made and even possibly patentable….